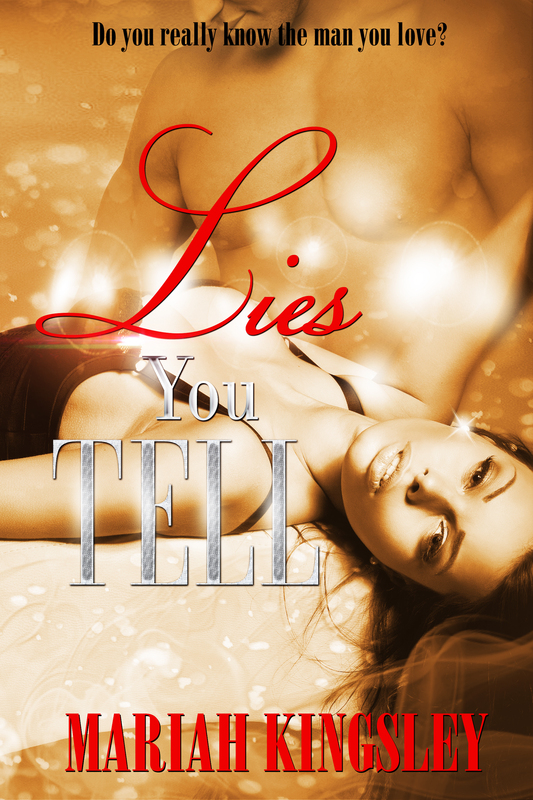 Today we’re featuring a cover reveal for author Mariah Kingsley of her latest book Lies You Tell. Look out for is, coming soon! Aubrey married the first man that she had ever loved. Robert was loving, hard working and her every fantasy come true. But the life that she has come to love has somethings that just don’t add up. One phone call disrupts the careful balance of lies. With the truth unearthed she comes to the conclusion that she has only one choice, kill him. To protect her family, she will betray her own heart. A desperate man…In a scramble to save the life that he has made with Aubrey,he takes her away. His only choice is to come clean, show the love of his life who he really is. With no other place to go he takes her to the last place he has known love, the place he never wanted to return. Facing the ghost of his past and the fear of losing his future, he opens his heart, hoping his wife will see the man that she loves under all the lies. This entry was posted in Events and tagged Bite Sized Delights, cover reveal, Lies You Tell, Mariah Kingsley. Bookmark the permalink.